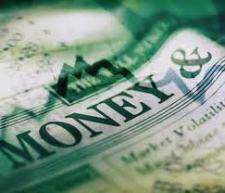 The Indian rupee dropped 7.5 percent against the US dollar since May, 2013. It had hit all time high at 58.99/USD on June 11. Rupee depreciation increases import bills, which is eventually passed on to the domestic customers, leading to a rise in inflation. A one percent rupee depreciation is estimated to add inflation by additional 15-20 basis points. At the same time, a higher volume of imports continues adding woes to the widening current account deficit (CAD), which had hit record high at 6.7 percent in October-December quarter. 1. Repo is the rate at which banks borrow from the central bank. 2. CRR is the portion of deposits that banks are mandated to keep with RBI. This post contains the Indian Business current affairs of June 2013. These are short Business current affairs 2013 notes for quick review.